FormatParser can be used to figure out the type and the format of a file. It also can extract some additional information. A file change watcher wrapper based on fs. File upload handling, persistence, and processing in Elixir and Plug. ExGuard is a mix command to handle events on file system modifications. DirWalker lazily traverses one or more directory trees, depth first, returning successive file names. Configurable mix task to watch file changes and run the corresponding command. 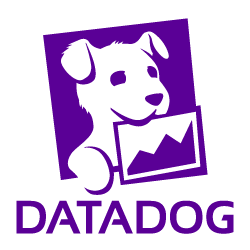 A framework for doing Hadoop style Map/Reduce operations on collections of files. Path library for Elixir, inspired by Python's Enhpath. A cross-platform file watcher for Elixir based on fswatch. Globbing paths without walking the tree!. Monitor Linux file system events. A callback-based file watcher based on fs. Extensible file upload library with support for SFTP, S3 and Filesystem storage. Do you think we are missing an alternative of FormatParser or a related project? There are no recommendations yet. Be the first to promote FormatParser! Have you used FormatParser? Share your experience. Write a short recommendation and FormatParser, you and your project will be promoted on Awesome Elixir. Do you know of a usefull tutorial, book or news relevant to FormatParser?